Will smart machines compete for LIS jobs? In my work with LIS students and practitioners throughout the country, we often focus on where the new jobs and career paths might be emerging – which is a smart, useful approach. But the corollary question, and especially important if you are considering building a specific LIS skill set, is where the disappearing jobs and career paths are likely to be. 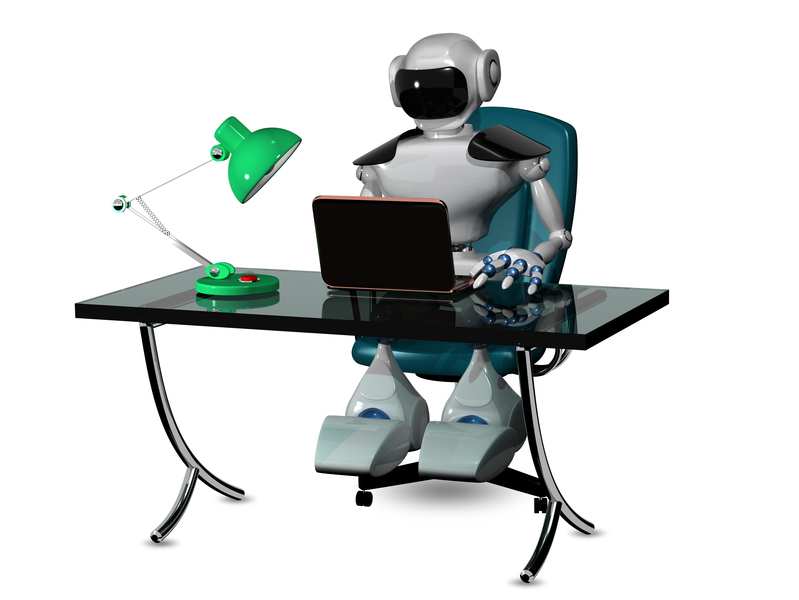 Will automation affect LIS jobs? Without question. Perhaps a more realistic question to ask might be what aspects of LIS work are likely to be replaced by automation or robotic intelligence? Because if recent studies are any guide, the question isn’t if automation will replace information work, but rather how soon, and by how much. Davenport is fairly well known to LIS professionals given his previous works, e.g., Working Knowledge (2000, Harvard Business Review Press, with Laurence Prusak) – the seminal textbook on Knowledge Management, and Big Data at Work: Dispelling the Myths, Uncovering the Opportunities (2014, Harvard Business Review Press). All three books consider the same question: how do we prepare ourselves and our professions for a future where jobs are often, at their core, automated processes for which humans are basically the support staff? And what does that mean to the LIS profession and its graduate programs? “Step up.” This approach is based on our ability to take a big-picture approach to things and understand how to interpret and respond to that big picture. “Step aside.” In other words, let the machines do what they do best (computing and automated processes) and avoid what they do worst (as in, no people skills) by stepping in to be the people-interaction intermediary. As we all know, there are situations where nothing can replace human engagement. “Step in.” Consider this the computer-overlord role – your responsibility will be to “understand, monitor, and improve” how the systems and their component parts work to provide value to the organization. “Step narrowly.” There are some jobs that occupy such a narrow niche that it’s unlikely any vendor would be willing to invest in automating them. Develop an expertise in these areas and your job opportunities may not be extensive, but they also won’t be automated out of existence. “Step forward.” This role is for those able to combine a deep understanding of the technology and its capabilities with a strategic sense of how technology solutions can be designed to meet business or organizational goals. Within the LIS profession, there are multiple ways we can begin to prepare for reconfigured roles. Part of this will be identifying what aspects of our existing roles are likely to be automated, and what aspects will still be human-driven. We’ll also need to ask how the skills we have (or are learning) can help us add value to smart-machine processes and functions. What can we, as humans, bring to the game that smart machines won’t be able to replicate? Another question will come from envisioning our work and its value to our various constituencies. What might smart machines, freeing us up from more mundane activities, allow us to do if we had more time? What might smart machines enable us to do as they evolve that today is beyond our resources and bandwidth? And what, if any, new skills do we need to teach/learn in order to embrace smart machines as an opportunity for adding value rather than as a threat to marginalize us? I certainly don’t have answers, but I’m guessing that among our LIS associations, graduate programs, thought leaders, students, new professionals, and “big picture” thinkers we can at least start the conversation. Perhaps a conference session or a white paper? A student-group research project or an association trends report? A vendor-sponsored survey or an annual assessment of the profession? The reality is that we’re going to need to engage multiple stakeholders to help shape our future, but I’m firmly convinced that we can figure this out in a way that supports healthy LIS employment. After all, we’re way smarter than those smart machines….